As the country celebrates the achievements of the Class of 2013 with statistics about pass rates, distinctions and university exemptions making the headlines, the reality for many hardworking youngsters is that despite having done enough to qualify for university entry, there are simply not enough places available at the country’s public institutions. In 2013, a total of 181 921 matriculants from private and public schools passed with marks that would qualify them for tertiary education and Bachelors’ degree study. Tens of thousands of these pupils will have applied to public universities however Dr Linda Meyer, Dean of Studies at Boston City Campus & Business College, says that approximately one in four applications that are made will be accepted. ‘If one uses the example of three leading public institutions in Gauteng – they have approximately 33 500 spaces for undergraduates but receives over 129 000 applications from matriculants who have qualified to study at university. The question is where do those who have not been accepted go? What alternatives do they have?’ she says. The benefits of having a tertiary qualification are numerous, most significantly it increases the chance of employment. What is needed are private higher education institutions which accommodate those who achieve university exemption but also offer the kind of comprehensive support structure that is needed to ensure students successfully complete their chosen field of study and are at the same time adequately prepared for the workplace. 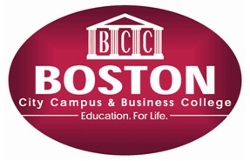 At Boston City Campus & Business College where Meyer is Dean of Studies, approximately 70% of those that enrol actually complete their studies. This can be attributed to the student-centred focus, quality of staff and interactive engagement that students at Boston receive. More importantly, the graduate unemployment rate for holders of qualifications in commerce, science and accounting is as low as 3.1%. ‘Whilst public universities may be subsidised by the government and so are more affordable than private institutions, for many students the chance of dropping out or failing is far higher. This makes private higher education institutions an attractive option for those who are determined to see their studies through,’ says Meyer.